Lovebirds need to take a bath at least once a week in winter and daily (if possible) in summer. Bathing helps to clean their feathers of bird dust and makes them feel less itchy. Moreover, a clean bird equals a clean environment, which is safer for both the birds and the owners. Some lovebirds love water and bathe readily, while others are scared of water and are difficult. 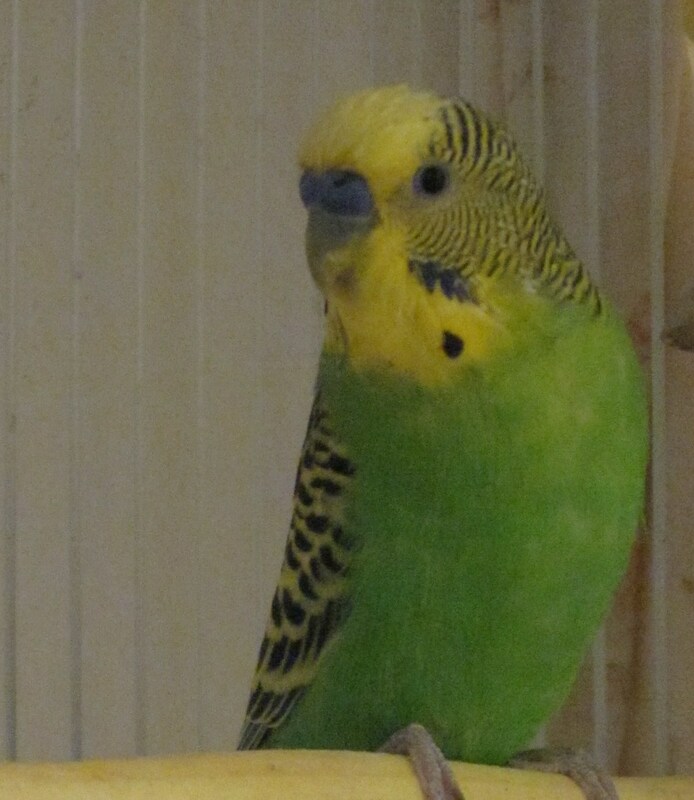 Let us look at these two different cases with the examples of my lovebirds, Mumu and Lulu. My lovebird, Mumu, likes to bathe but is scared of the water at times. When this happens, we have to apply different techniques to encourage our pets to take a bath. Only use lukewarm water for bathing your lovebirds in both summer and winter. If it's extra cold, you can make the water slightly hot. Always check the temperature with your fingers before your pet jumps in for a bath. Never use cold water. Act as if you are enjoying bathing by splashing your fingers in the bowl and make "excited" sounds. 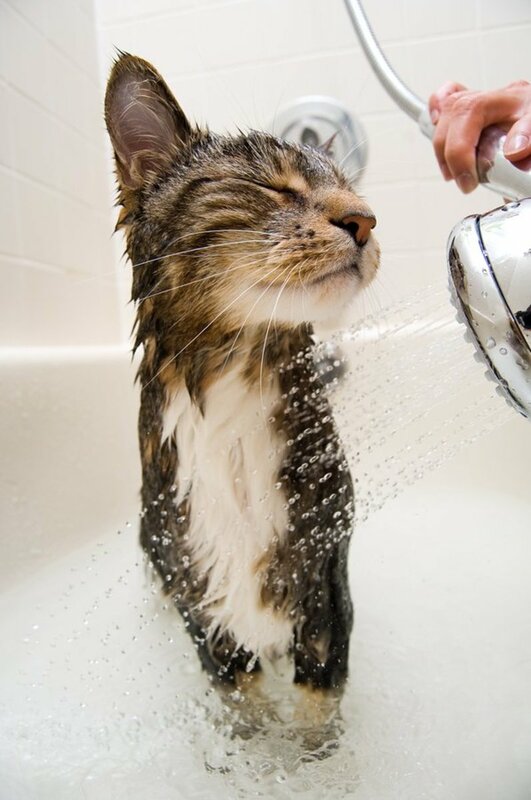 Try using different utensils when your pets want to bathe. Lovebirds get bored of routine and love new things. I once used a new soup bowl. Mumu jumped right on its edge and demanded to be bathed that very instant! At times, lovebirds are scared of deep water. In this case, use shallow vessels and your pet will enjoy splashing around without fear. At times, lovebirds want to bath but are scared to jump in at the same time. 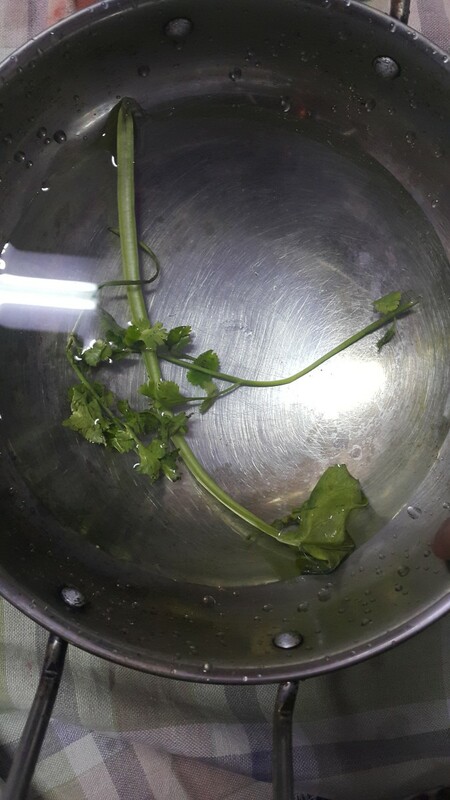 When this happens, include spinach leaves or cilantro leaves in the water bowl. This way, your pets won't get intimidated by the water and will probably plunge in. If your lovebird doesn't bathe in a bowl, try using a basin. Make sure the stream of water is thin and warm. Your pet is likely to sit under the sprinkling water and bathe in the basin. Make sure the basin is clean before you bring your lovebird for a bath. If the above methods don't work, try spray bathing your lovebirds. Take a spray bottle and fill it with warm water. Spray it slowly on your pet's body. Your pet may run around in the cage for a minute, but he/she will settle down and enjoy the spray bath. Never spray directly on your lovebird's face, especially not near the eyes. Spray slowly with a gap of one or two seconds so that they are able to handle the water sprayed on them. If you feel your pet doesn't want to bath, don't force him/her to do so. Lovebirds are moody and stubborn at times. Chances are they will have a bath the next day themselves! My female lovebird, Lulu, loves water and bathes readily. At times, she plunges herself into the small water bowl we keep in the cage. When this happens, I remove the bowl and replace it with a large one and let her enjoy splashing around. 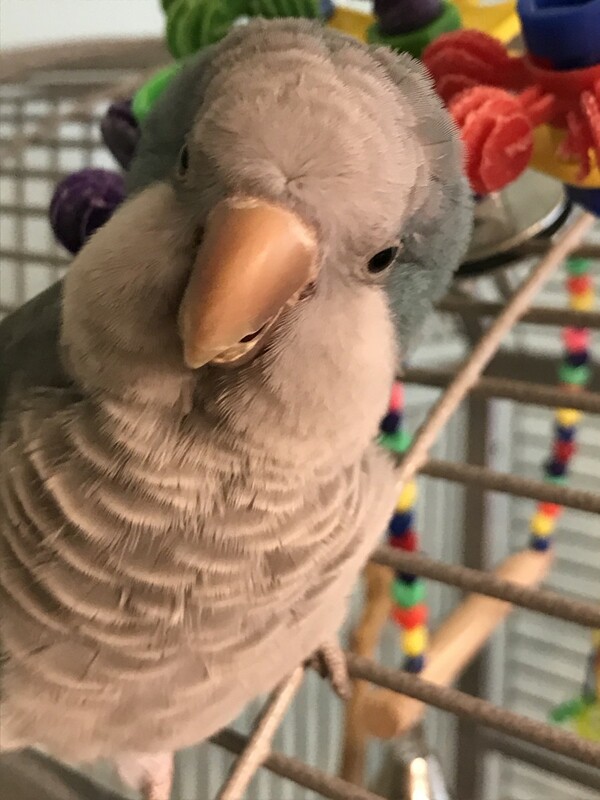 My lovebirds, Mumu and Lulu, are almost opposite personalities. Lulu loves bathing in cold water, while Mumu prefers it lukewarm. Though lovebirds prefer different temperatures of water while bathing, it is advised to use lukewarm water only. Most of the time, my lovebird, Lulu, interferes when Mumu has a bath. Mumu is scared of water and it takes a great deal of persuasion to bathe him. So, when Lulu wants to join in as well (considering the fact that she loves water), Mumu gets annoyed and leaves the "bathtub". When this happens, he remains annoyed 90% of the time and my chance of getting him clean goes in vain. They used to bath together when they first became mates. Things changed and Mumu prefers bathing alone now. At times, I've found Lulu and the cage wet as a result of her bathing. When I try to replace the water in the bowl, she even argues by placing her foot on top of it. She doesn't like warm water, but for her safety, I don't let her bath in cold water. Bathing is necessary to keep our lovebird pets clean and healthy. Though they have their different moods, lovebirds can be encouraged to take a bath. Do you have any stories to tell about your pets? Feel free to share them with me in the comments section below. My lovebird loved bathing, but not now. He is scratching frequently. Is it because of not bathing? Yes, not bathing makes them itchy and he might also be molting. Please encourage your bird to bathe. Include greens in the water or change utensils. 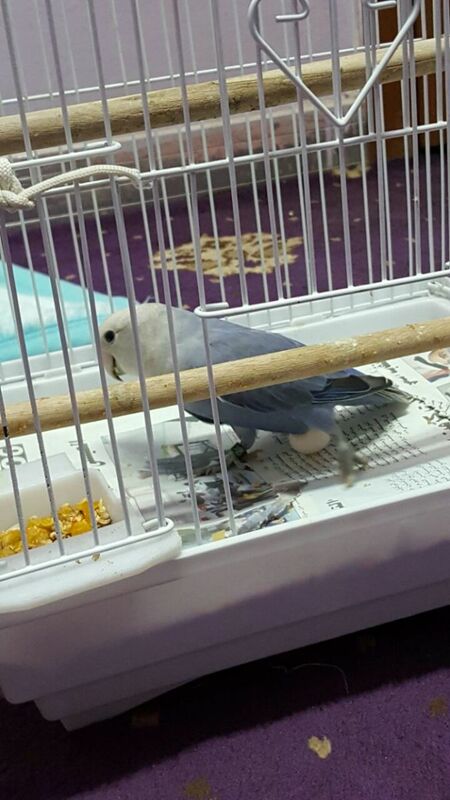 My bird is afraid of me and it makes it difficult to bathe her (I have only had her for a month). She is about four months old. I purchased a premixed spray and she had a royal fit when I sprayed her. That was a few days ago. I tried putting a tub in her cage and she ignored it all day. Do you have any suggestions? If she's scared of spray baths, please avoid them. You mentioned a tub, how big is it? Small birds like a shallow vessel and please make sure it's not too big. If she's ignoring this regularly, either she might be scared of bathing or feels she doesn't require cleaning. Give her time; she might bathe with the water you provide for drinking. 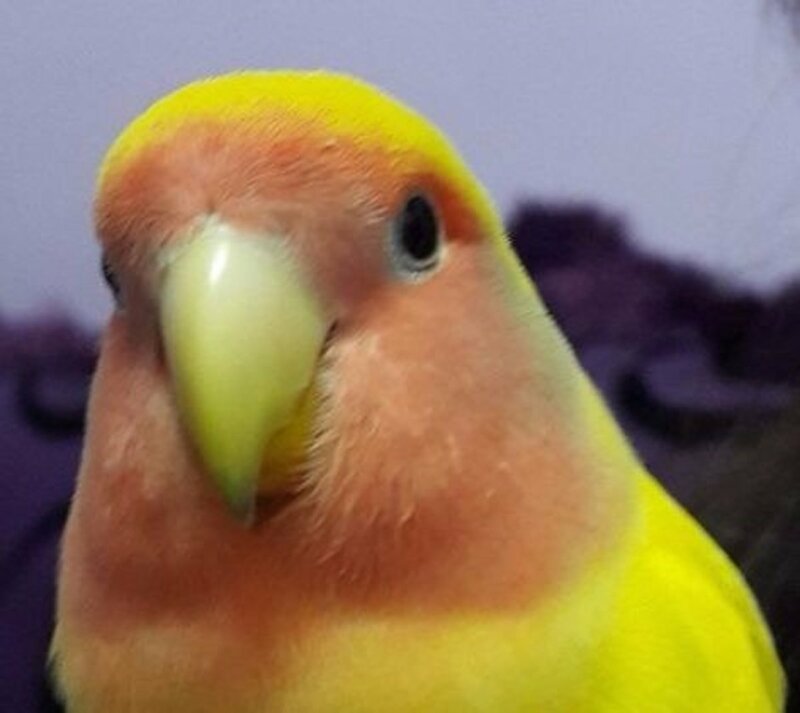 Please don't force the bird into bathing, some of are terrified of water (like my lovebird, Mumu). Birds like these bathe whenever they feel at ease. 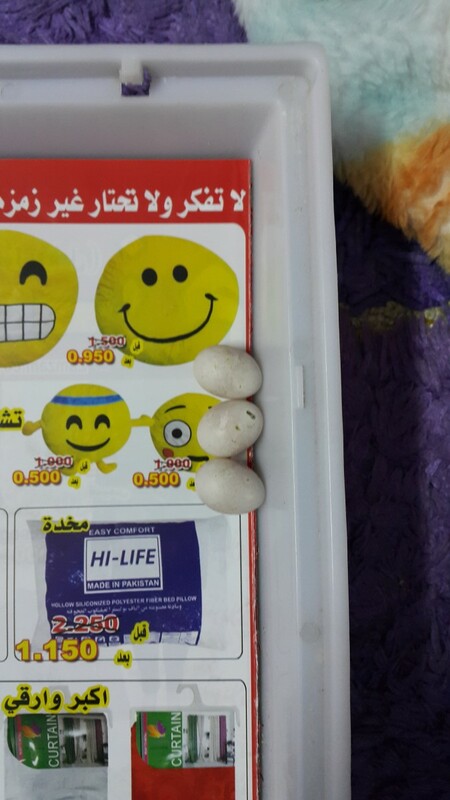 Is it okay to bathe the female lovebird when she is incubating her eggs? Yes, it is, but please make sure the eggs aren't touched by water (in case you decide to give her a spray bath). Bathing is essential; it keeps the germs away. I tried letting my lovebird bathe in warm water in the sink and in a bowl, but it didn't like it. I'm not sure what to do. Could you please help? Sometimes bathing depends on the mood of the lovebird. You can try using normal tap water. Maybe your bird would prefer a cooler temperature. What a beautiful video! I didn’t know this. Do we have to bathe lovebirds every day? Yes, it's always a healthy measure to let your lovebirds bathe daily in summers. 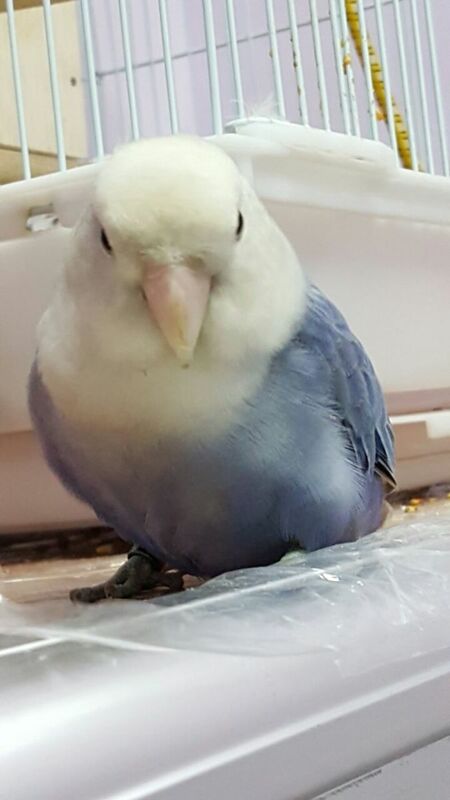 Should we give 2 months old baby lovebirds a bath? Yes, you can give them a bath. @Kokila Let her bath in a shallow bowl. Buy some bird shampoo and try to wash her feathers. Be very gentle. 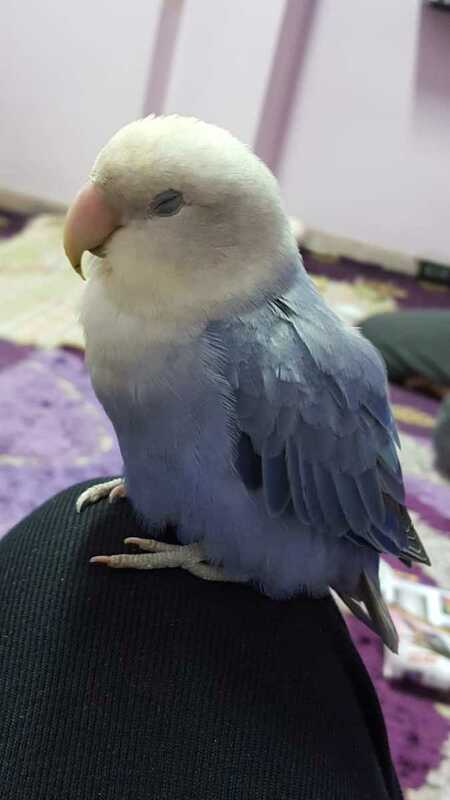 I accidentally poured oil while applying it on the wound of my love bird..... How should I bath her?? Hi Sakina ! How are you sweeti ! 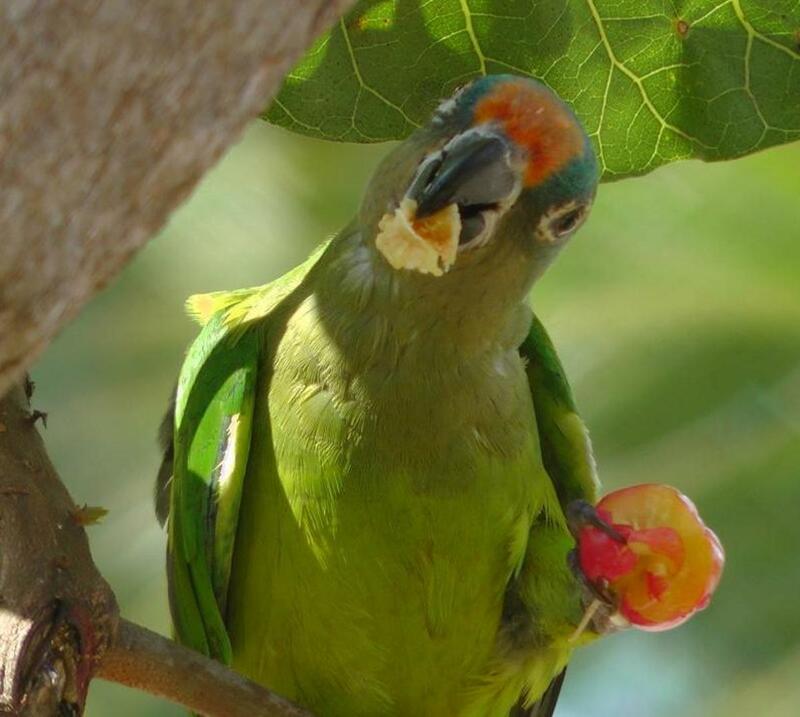 Recently i bay 2 lovebird ! I want ti know about lovebirds everything’s! @Wanda Potts Hi! :) No worries! My lovebirds love their small cage. I have tried to get them to accept a bigger one, but they don't feel comfortable there. What are your lovebirds' names? 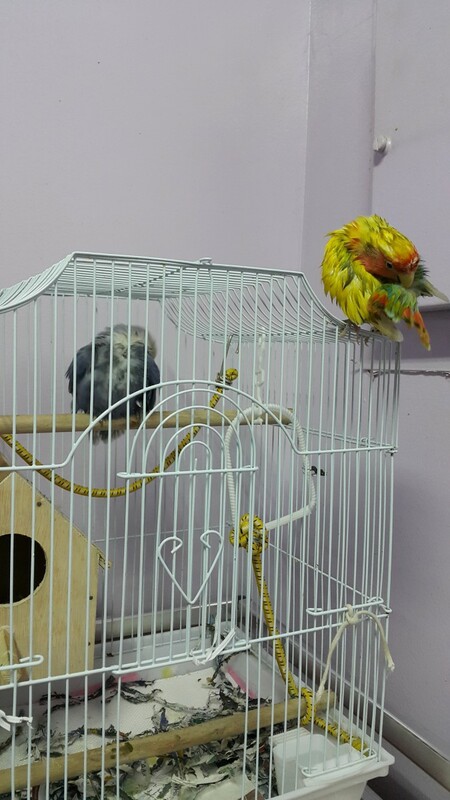 I don’t want to sound like I’m telling what to do but your cage is awfully small for 2 active love birds. Hope you can get a larger one for them soon. Enjoy your advice and pictures. My birds are the same color as yours. @Natalie Frank Hi! :) Thank you so much. Lovebirds love bathing (at least Lulu does haha) in summer. It's always fun to watch them do so. I just read this one again. The photos and videos of your birds add so much to the article. Your birds are adorable. I had no idea you had to bathe them daily in the summer time! That's quite a routine. Thank u for the response . Will send the photo thru e mail. Actually I don’t know the type of breed. Today being Tamil new year , shop is closed . Will speak to the pet shop guy and will try to understand the breed . @Balachander Thank you so much. 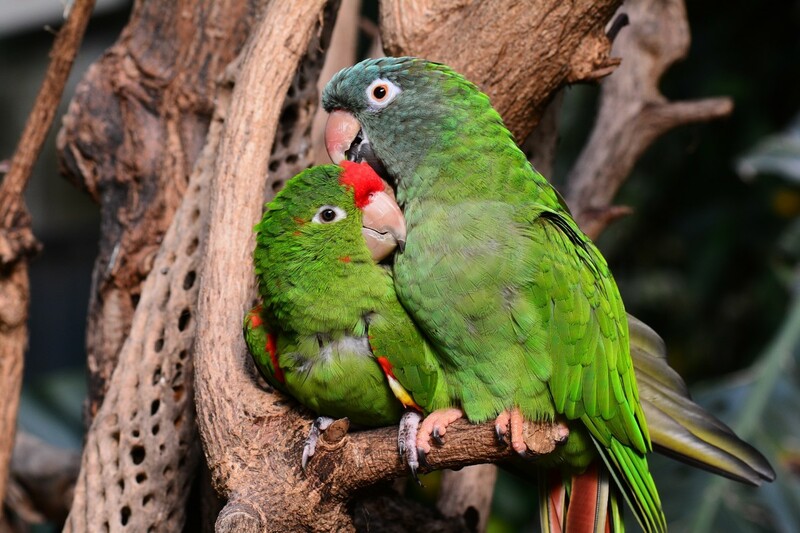 Lovebirds have playful personalities. They are fun to raise and pet. What type of lovebirds do you have? Hi ,,,it’s so nice . I did not even No anything but I went and bought two pairs and spending time with them . Reading all your articles and trying to follow . Though you may be young god blessed you a passion to go behind this sweet creatures . Keep doing !!!! @Natalie Frank Hi! :) Thank you so much for the warm words. Lovebirds have unique personalities and it's fun to watch them. I love your series on Lovebirds! Especially this time of year. Your suggestions are so practical and caring.